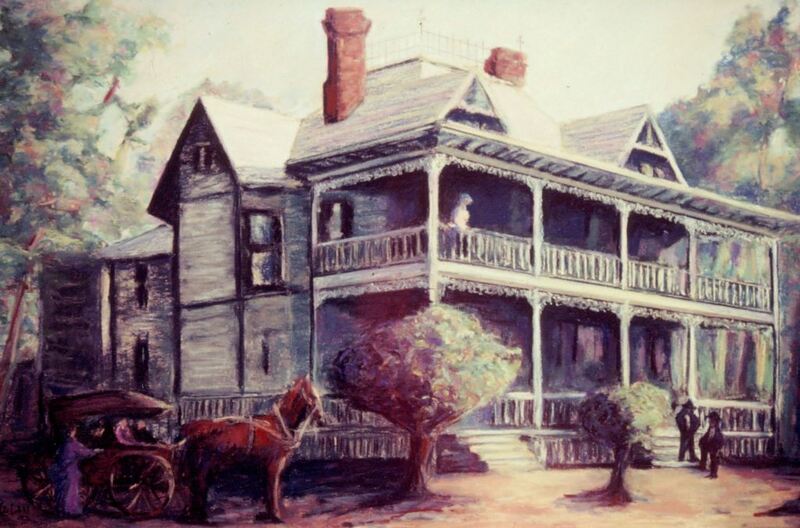 A painting by Bettye Reagan, a local artist in Central Florida, inspired by a photograph of the Whitney-Wolcott House, located at 6297 Lake Charm Circle, near Lake Charm in Oviedo, Florida. After buying property from Dr. Henry Foster in 1886, Calvin Whitney built his Victorian Revival-style, two-story winter home near Lake Charm. Whitney, who was the president of the A.B. Chase Piano Company, partnered with Dr. Foster in 1889-1890 to form the Lake Charm Improvement Company, which built a bulkhead, drained from the lake, and removed muck from the bottom. Whitney and Dr. Foster hired a Philadelphia-based mason to construct a sidewalk around the lake. The home was later owned by O. Gus Wolcott. Another well-known inhabitant of the house was Wyatt Wyatt, author of Catching Fire and Deep in the Heart, in the 1990s. Original painting: Reagan, Bettye. Wolcott Home. 1999: Private Collection of Bettye Reagan. Digital reproduction of original painting: Reagan, Bettye. Wolcott Home. 1999. Reagan, Bettye Jean Aulin. 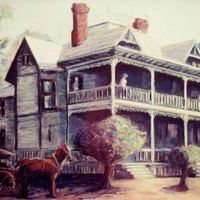 “Wolcott Home by Bettye Reagan.” RICHES of Central Florida accessed April 19, 2019, https://richesmi.cah.ucf.edu/omeka/items/show/6938.